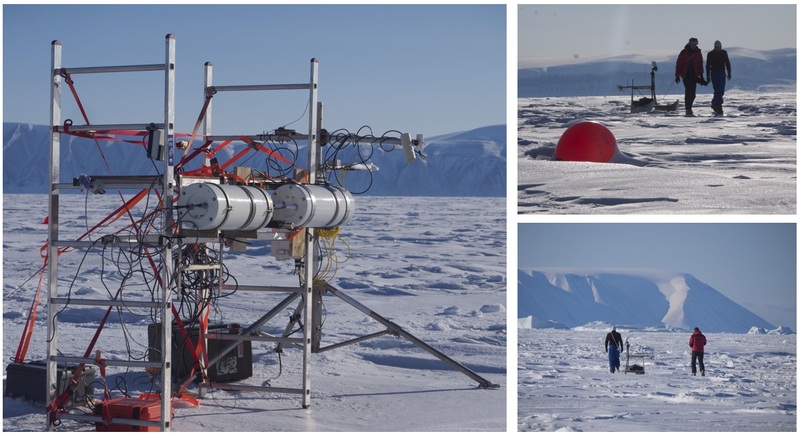 A successful field inter-comparison experiment over sea ice was conducted in March-April, 2016 on the sea ice off Qaanaaq, in Northwest Greenland. The site is well suited for conducting a field campaign on the sea ice and for measuring the ice surface temperature with radiometers. It is well within the high Arctic at 77oN with a dry Arctic atmosphere and cold temperatures in April. Three different research groups (DMI, Met Norway and University of Southampton) participated with six different thermal infrared radiometers in the inter-comparison, the first of its kind over sea ice, including two Fiducial Reference Measurements Thermal Infrared Radiometers. The programme for the one week experiment is outlined below. Freeze up measurement. The radiometers observed the surface temperature for at least 1 day (24 hours) during a sea ice freeze up experiment to cover a broad temperature range. Angular dependence measurements. The radiometers observed the sea ice at different incidence angles, to assess the effect of angular emissivity dependence. 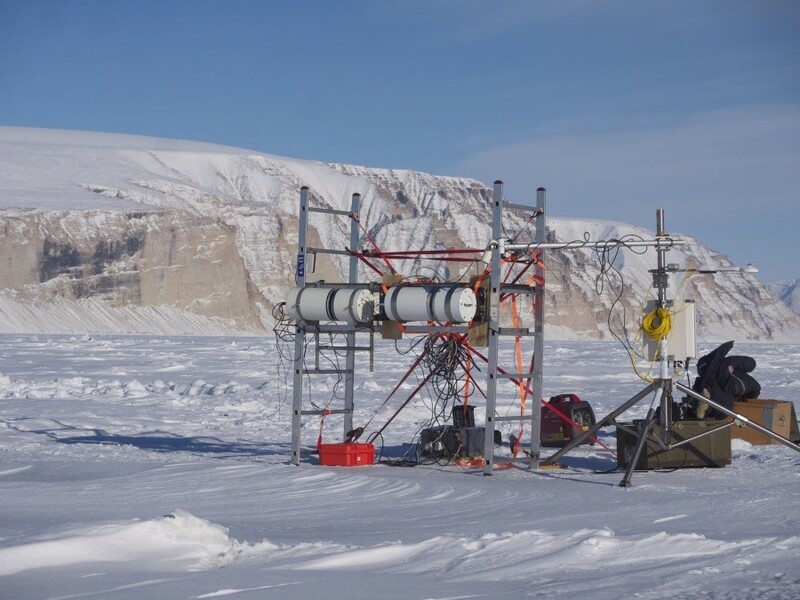 The extreme conditions were challenging for the radiometers and resulted in some data losses, but all six radiometers participated in the inter-comparisons campaign. The weather conditions were typical for a high Arctic environment, with surface temperatures between -30 and -10oC and low winds. A pairwise comparison of the 10 minute averaged brightness temperatures from all the radiometers showed mean differences between 0.2 K and 1 K.
A full report with the results from all the experiments is available here; Towards Field Inter-Comparison Experiment (FICE) for ice surface temperature. The figures below show a few examples of the data obtained during the campaign. Location of the FRM4STS IST FICE. Qaanaaq is situated in Northwest Greenland at 77oN. The experiments were carried out on the sea ice off Qaanaaq in Inglefield Bredning (left) marked with a red star. Temperature conditions at different vertical levels during the experiment, as observed by the DMI Automatic Weather Station . The snow-ice interface was under 9 cm of snow. Time-series of brightness temperatures observed by the 6 radiometers participating in the inter-comparison experiment. The DMI AWS (black line) was mounted about 40 meters away from the other radiometers. Photo of the inter-comparison experiment with the two ISARs mounted side-by-side. Photo provided by W. Wimmer.